Are you a passionate 3D printing nerd? You know the terms filament, nozzle, atomic pull? Then you really need that trendy shirt. Let your shirt speak for yourself. Go cop that shirt for yourself, your nerdy friend, your geeky neighbour or a family member who is very passionate about fused depositing modelling or additive manufacturing in general. Are you a passionate 3D printing nerd? Do you know the terms filament, nozzle, atomic pull? Then you really need that trendy shirt. When people see this, then they know that you know what is up about 3D printing. 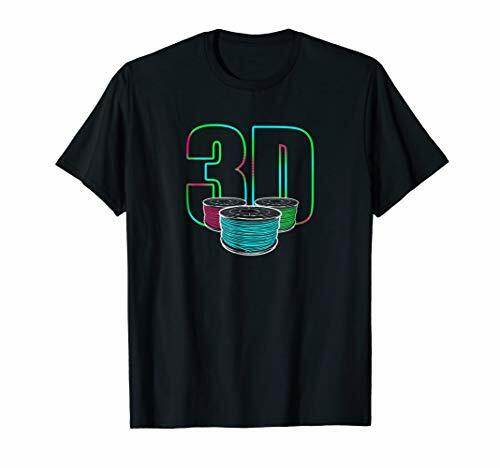 Go cop that shirt for yourself, your nerdy friend, your geeky neighbour or a family member who is very passionate about fused depositing modelling or additive manufacturing in general.